PORTLAND, Ore. – Last year, iVET360, a veterinary services company with clients in all 50 states, analyzed the marketing metrics of 1,000 accredited hospitals and compiled a report that revealed insightful statistics and trends in veterinary marketing. For 2018, iVET360 has continued this now annual report, which has once again analyzed 1,000 hospitals while covering approximately 27,000 data points to highlight crucial new information for practices regarding their marketing efforts. 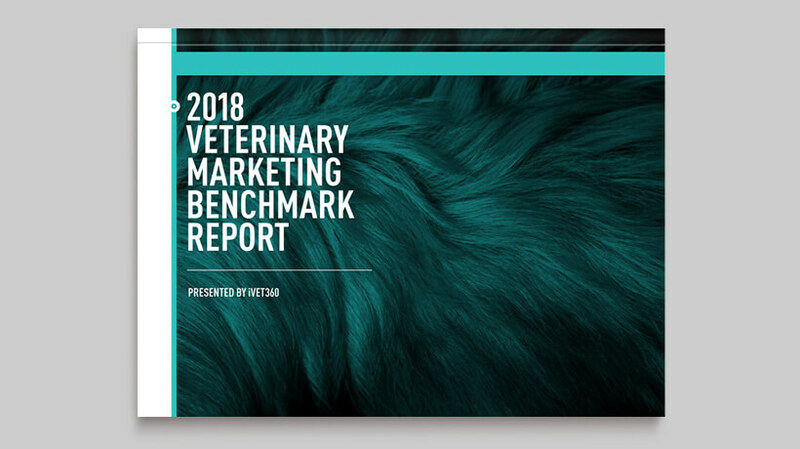 iVET360’s Veterinary Marketing Benchmark Report for 2018 includes even more industry data analysis and contains new, exciting points that were not covered in 2017. These include introducing Nextdoor as a marketing tool and stressing the importance of Google — the report specifically talks about the power of Google Ads, and how only 10 percent of hospitals are using this critical service. Other major topics that are covered feature proper SEO usage, all things Google My Business, the average number of reviews a practice has across their most dependable social channels and much more. Veterinary practices can download this report as well as receive a complimentary all-inclusive digital report of their business (within 24 hours) by contacting iVET360 and providing their hospital name, website, and email address. For more information on this report and to receive a hospital analysis, click here. Established in 2013 and headquartered in Portland, Oregon, iVET360 is a practice management services company that provides critical support to veterinary hospitals. Their specialists educate and assist practices with marketing, analytics, and HR and training to ensure complete implementation of proven business strategies into the daily activities of hospitals.